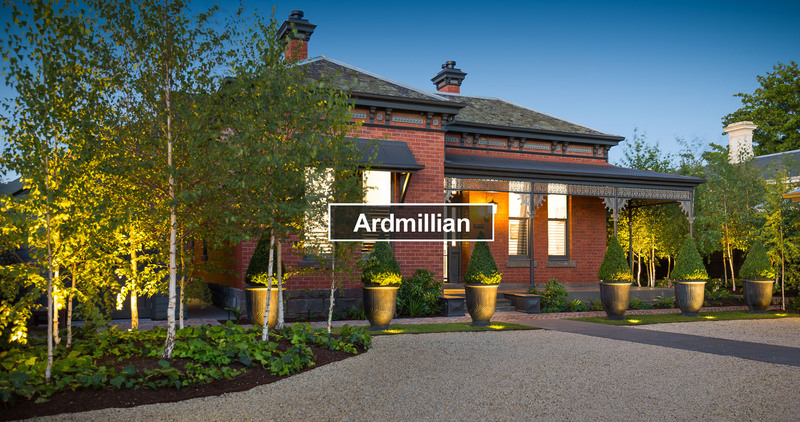 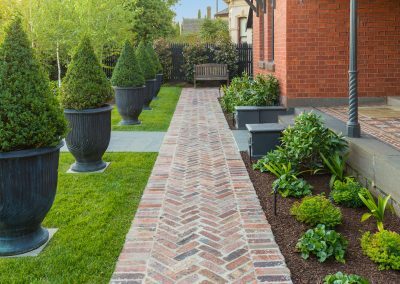 The perfect garden to showcase this period style home, formal style landscaping enhancing the grandeur and appeal of this property. 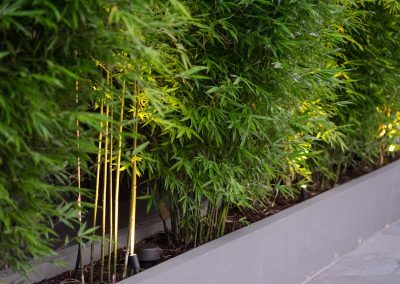 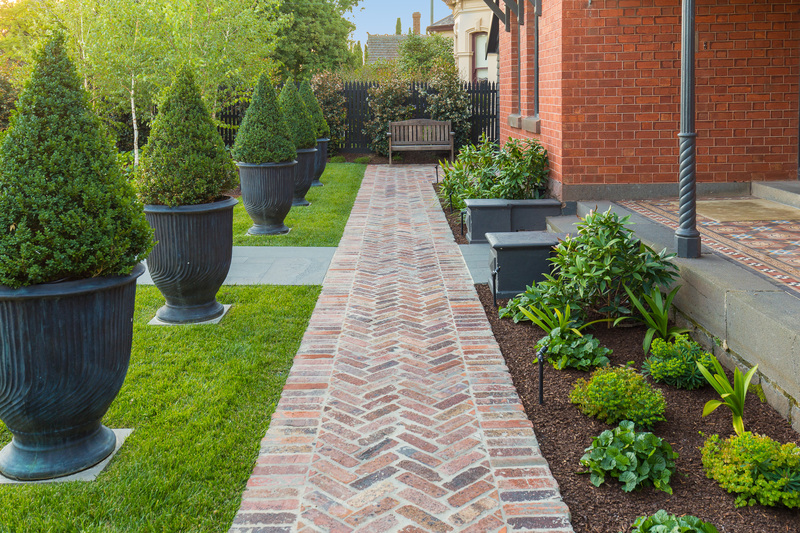 A fabulous contrast of brick and stone, softened with a palette of gorgeous greenery, designed with an abundance of plants to compliment and create a welcoming inviting feel. 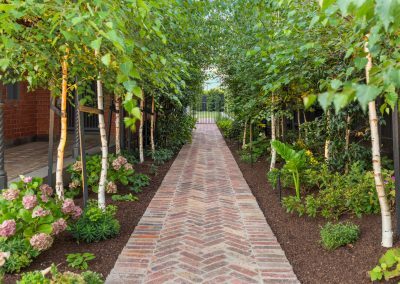 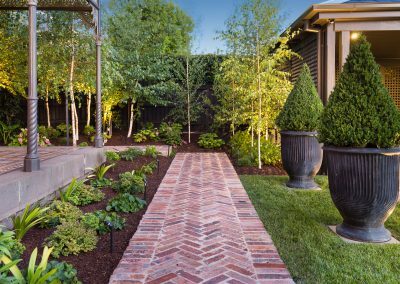 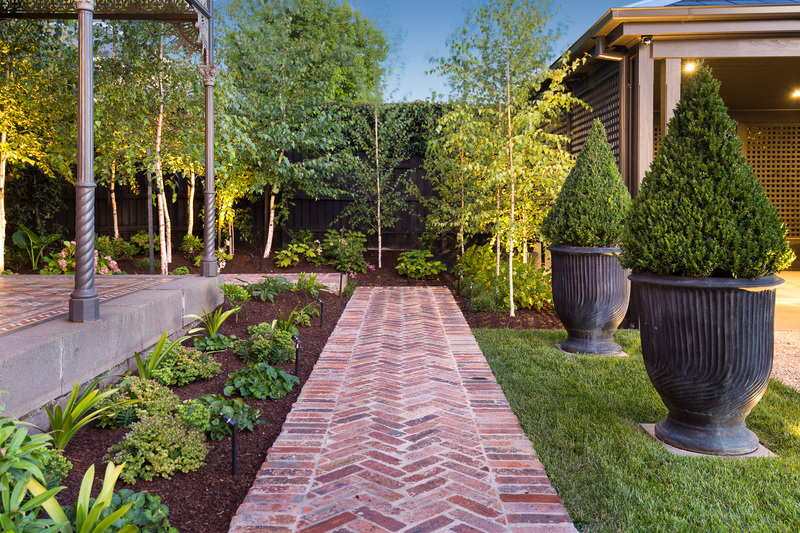 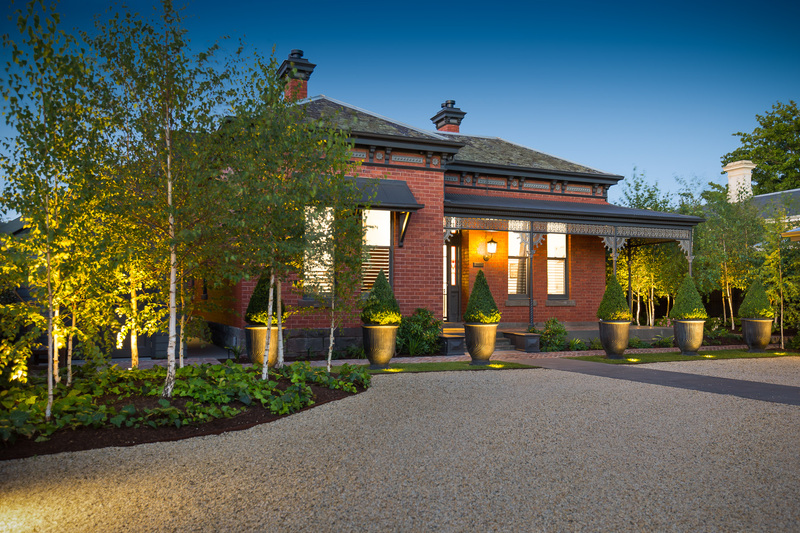 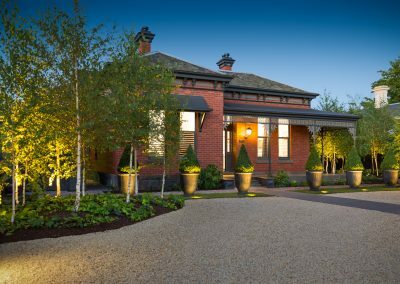 Beautiful pathways constructed with old hawthorn bricks reflect the true beauty and elegance of this home. 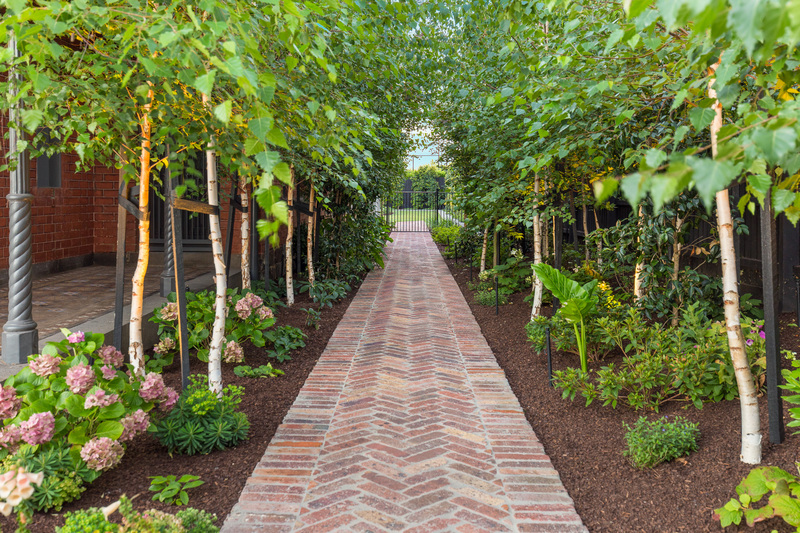 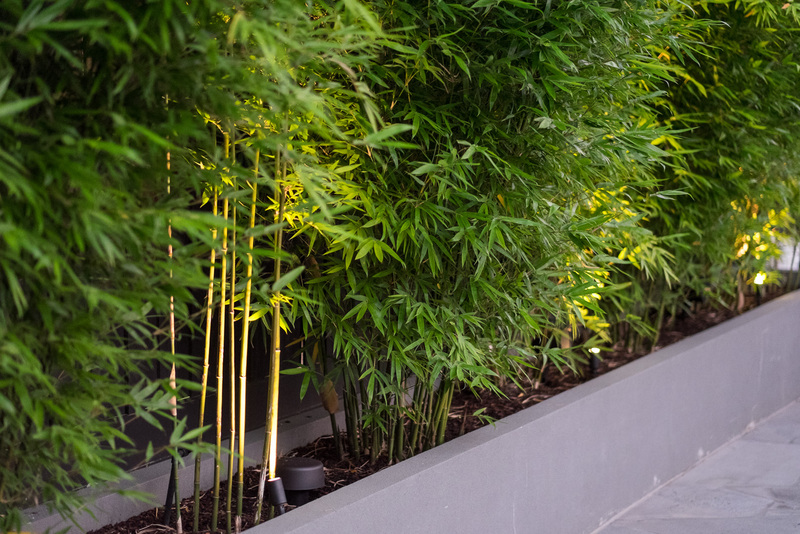 Charcoal period style pots positioned at the front entrance of the impressive drive framed by lush foliage . 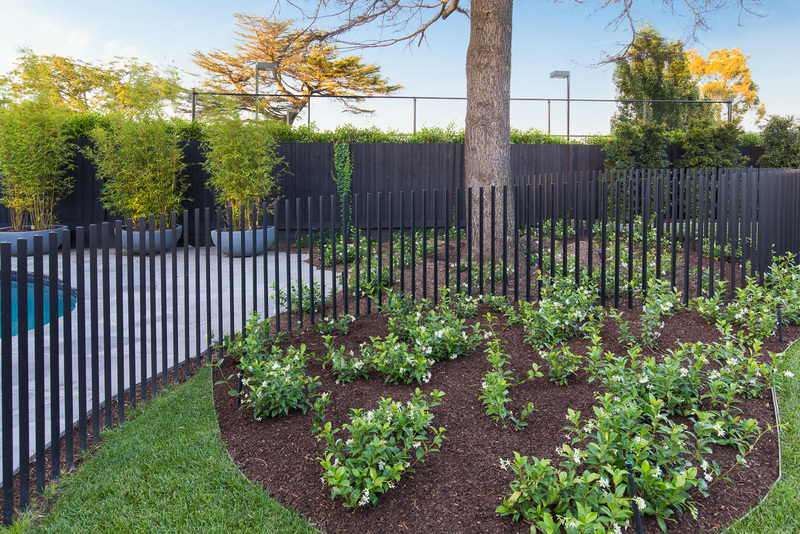 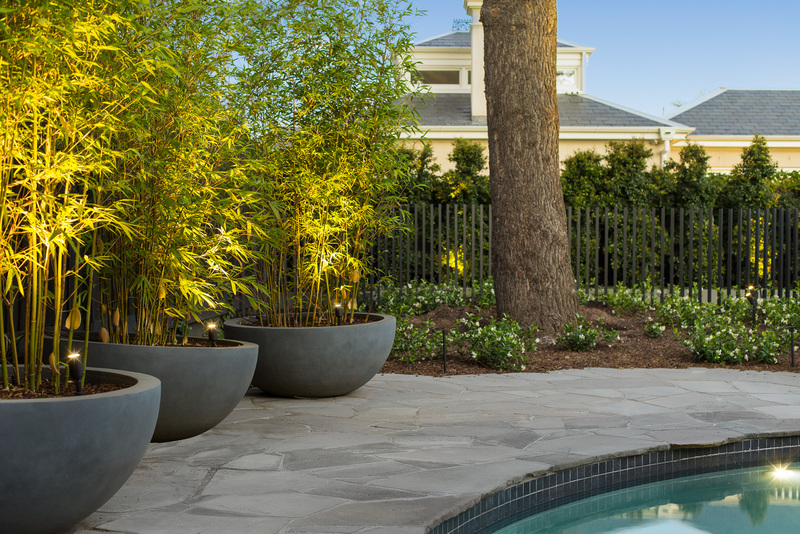 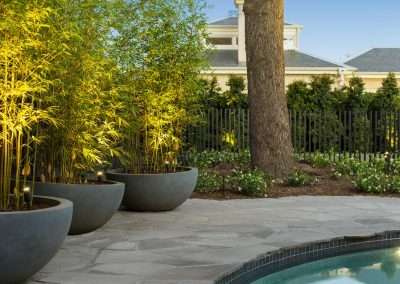 The generous rear yard has plenty of room for the family to enjoy with beautiful lawns, contoured garden beds and stunning natural bluestone surrounding the pool & spa.